As part of their mission to reform destructive fishing practices, Ocean2012 explains the risk of catching too much fish, in motion graphics. I like the pixelated aesthetic. See also Nigel Upchurch’s video on farmed fish. As a consumer, I’m still confused. 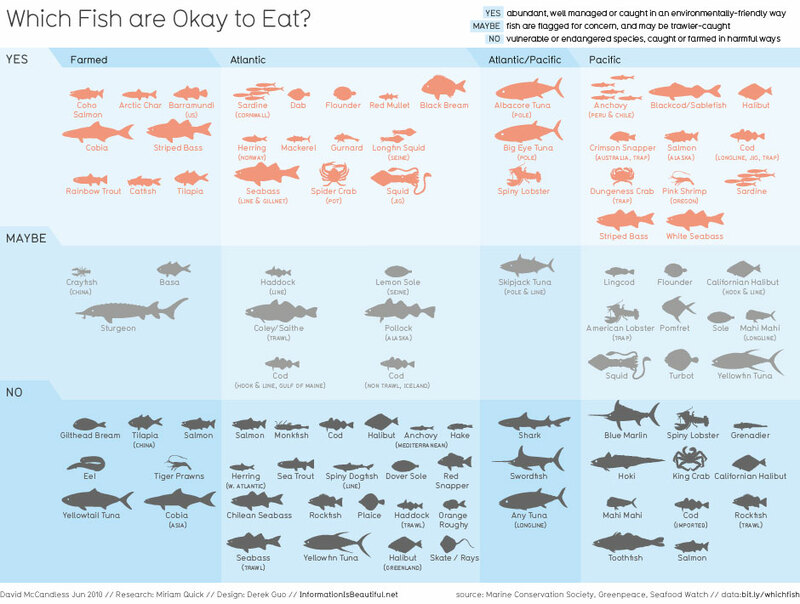 Can someone make a list of fish I can and can’t eat without disrupting ocean equilibrium? I guess the take-home message that affects most people would be – don’t eat tuna. They also have Android/iPhone apps and a printable pocket guide. Seafood Watch from the Monterey Bay Aquarium is a very respected program among biologists. You should read “Four Fish” by Paul Greenberg. He says that the number one question he gets is the same one you just asked: “So, which fish should I eat?” The answer is not as simple as a list. Nathan, did you edit this post to remove a comment about farmed fish? (I just ask because I’m looking for a quote from a ‘confused’ consumer).